Disclosure: I received product in order to conduct this review. No other form of compensation was received and all opinions are 100% my own. Talk about summer fun!! 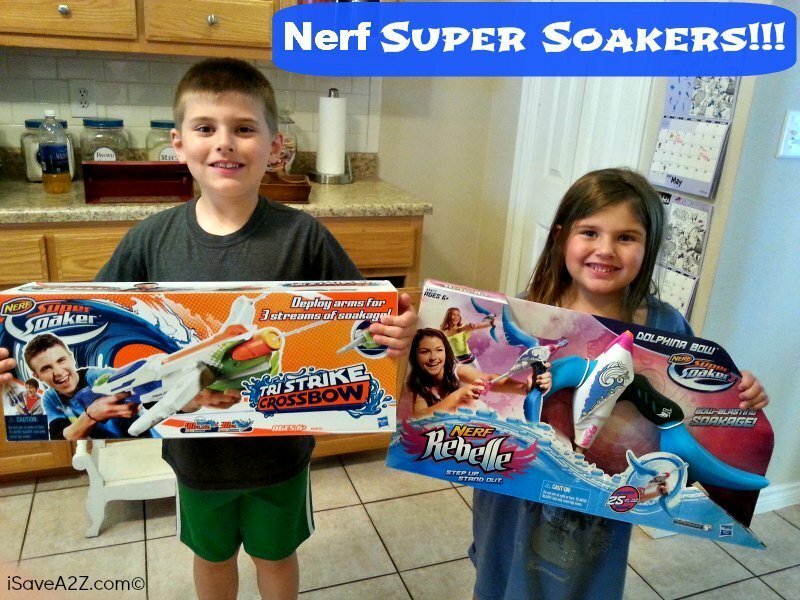 Check out the cool, new Nerf Super Soaker products we got to try out! I was so glad to finally get one product for my daughter and one product for my son. My daughter definitely seems to get more things to “test out”. The funny thing is, when this box arrived with the Nerf Rebelle Super Soaker Dolphina Bow and the Nerf Super Soaker Tri Strike Crossbow,we all got a little excited. 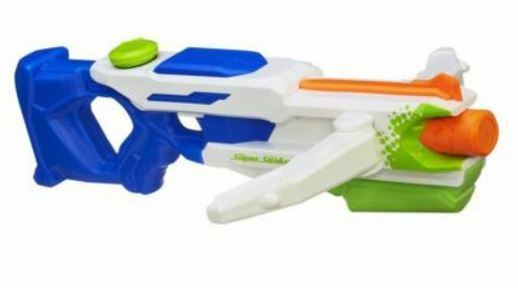 Nerf Super Soakers are fun no matter what age you are! My daughter got the Nerf Rebelle Super Soaker Dolphina Bow. Let me just say…I am so happy someone finally came out with a line of toys that are made in girly colors. We like dart guns, bows and Super Soakers too! She was so excited to get her own Super Soaker. The Dolphina Bow is easy to use and can hold up to 25 ounces of water. All you have to do is pull the handle back and then push it forward to start a full blast of water!The bow shape also makes it easy to hold and aim. My son got to try out the Nerf Super Soaker Tri Strike Crossbow! This thing is very impressive and we all wanted to try it out. The Tri Strike Crossbow can hold up to 40 ounces of water and can reach a target of up to 38 feet away!! This Super Soaker works in two different ways. There are two blast arm on the side and when they are in, you’ll get one continuous stream of water. You will get a longer range when it is in this position. BUT….you can also open the arms and get three streams of water coming out at once! This is perfect for close up soaking!! Let’s just say we immediately opened these out and started a water war! These make for a great outdoor activity that the whole family can enjoy! And, it will keep you cool at the same time. 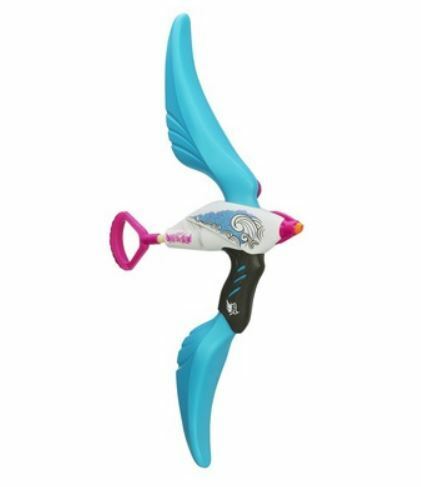 I found the Dolphina Bow Blaster for just $14.88 (26% off) and the Tri Strike Crossbow for only $19.59 (22% off)!